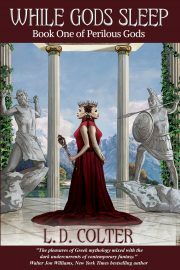 The Science Fiction & Fantasy Writers of America, Inc. is pleased to announce the recipients of the 2011 Nebula Awards®. The Nebula Awards® are voted on and presented by the active members of SFWA for outstanding science fiction and fantasy published in 2011. The awards were announced at the Nebula Awards® Banquet held at the Hyatt Regency Crystal City in Arlington, Virginia. This year’s award was crafted by Mike Libby, of Insect Lab. A wonderful celebration of literature last evening in which I was privileged to participate! Congratulations to all the award recipients. The true winners are all those who are working to keep science fiction and fantasy literature alive for a new generation. You have my gratitude. One of the strongest fields in recent years. Congratulations to all nominees and winners!